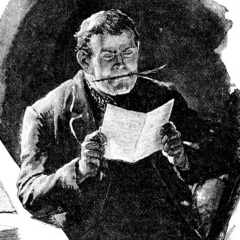 Writing crime fiction | Literary pseudonym quiz: whodunnit? Writing crime fiction: Joanne K. Rowling enjoyed the ›liberating experience‹ of writing as Robert Galbraith. The Guardian asked five novelists to try their hand at a piece of crime writing, and to come up with a pseudonym. Can you work out who is John Marcher, Carol Bell, KLA Brander, PM Jameson and Bogdan Berbatov? You can find the quiz here.